Zeolite can help by reducing/eliminating the chemical odors, volatile organic compounds (VOC), formaldehyde, carpet outgassing, and other neurotoxic irritants that can be the underlying cause of these ailments. Zeolite has the ability to adsorb and desorb water and gas molecules (odors) without any chemical or physical change in the zeolite itself. 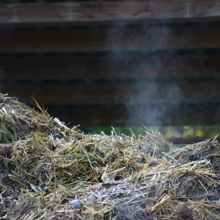 The material can encompass and control many times its weight in odors or moisture. Mildew is an organism that thrives in areas of excess moisture, and leaves a stale, undesirable odor. Zeolite products remove the moisture, and the mildew disappears! No harmful chemicals or perfumes are used to mask odor. Volcanic zeolite based odor control products last for years because they can be „recharged in sunlight“. After the product has become saturated with the odors it has been absorbing, you can set the mesh pouches outside in direct sunlight for 6 hours and the zeolite recharges and can be used for many years!